Thailand’s top tourist destinations figured prominently in the latest Ctrip Best Destination Awards scoring impressive rankings across most major award categories. The rankings and awards were based on the responses of more than 250 million Ctrip users. Ctrip.com International founded 1999 in Shanghai, China, employs over 30,000 people at branches in major cities in mainland China, Hong Kong, Taiwan, Singapore, Korea and Japan. 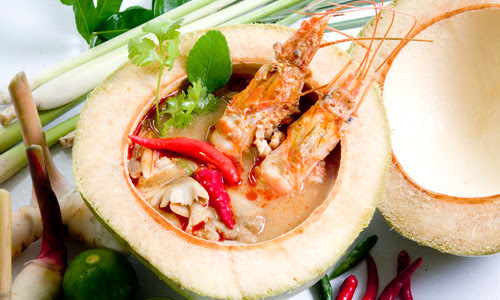 Thailand’s top tourist destinations ranked close to the top in most of Ctrip’s award categories. Bangkok came in second and Chiang Mai ninth in the Ctrip’s Best Overseas Destination awards. The Thai capital ranked eighth in the category Best Destination for Students. 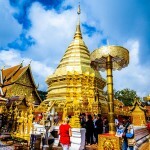 Chiang Mai also figured 10th in the Most Popular Destinations for Self Guided Tours. 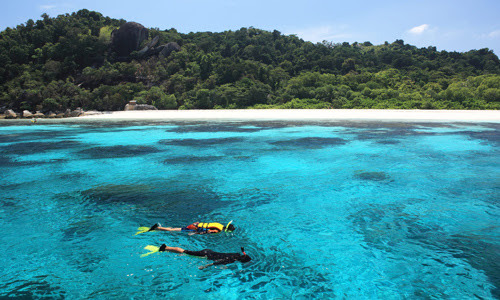 Phuket and Krabi ranked high in the ‘Best Island Destination’ category at third and seventh, respectively. Another popular Thai island destination, Samui in Surat Thani province, on the Gulf of Thailand, ranked in sixth place in the Most Potential Destination category. TAT’s Deputy Governor for International Marketing (Asia and South Pacific) , Mrs. Srisuda Wannapinyosak, said “success was due to TAT’s strong commitment to work with China’s outbound travel companies through marketing strategies that target high income, quality tourists. This is reflected in our efforts to draw Chinese newly-weds to choose Thailand for their honeymoon and golfers to play our world-class courses”. Thailand attracted 7,934,791 Chinese in 2015. Visits generated an estimated revenue of 400,000 million Baht. Market surveys indicate the average spending per Chinese visitor stands at 47,000 Baht per trip. This year, TAT rolls out campaigns based on a strategy to attract up-scale Chinese travellers to Thailand. One of the projects is a Thailand Photo Contest 2016 that will sponsor Chinese photographers on a tour of specific routes in Thailand, 17 to 24 March. Their photographs will be judged by the Royal Photographic Society of Thailand and announced 8 April. The six routes assigned are: Bangkok- Kanchanaburi; Trang-Satun; Nakhon Si Thammarat-Songkhla; Chanthaburi-Trat; Chiang Mai-Lamphun-Lampang; and Sukhothai-Phtisanulok-Kampangpetch. For the third consecutive year, TAT is partnering with Chinese travel agents to sell honeymoon packages for 50 Chinese newly weds during the third week of June. Last year, the campaign was named “White Romance Beach Party” and honeymooners posted and shared their photos on the topic page that attracted over 1 million visits in the first three days. TAT’s campaign Best of Thailand Awards encourages Chinese tourists to vote for their favourite destinations, restaurants and hotels. Held for the second year, the award ceremony will take place 11 June, this year. Last year, there were 5.56 million IPs voted via Weibo and 35.73 million views registered through various channels. China Golf Tournament 2016 offers Chinese golfers an opportunity to travel to Thailand’s top golf courses, 25 to 26 July, this year. Participating courses include Siam Country Club Waterside and Siam Country Club Plantation in Chon Buri province close to Pattaya. The campaign targets 100 Chinese golfers. Thailand’s inbound travel companies can join two trade events in China this year. Combined tradeshow and roadshow campaigns focuses on the Beijing International Travel Expo (BITE), 20 to 22 May, this year, in Beijing and the China International Travel Mart (CITM), 11 to 13 November, this year, in Shanghai. Roadshows also will visit secondary cities near the expo and mart venues.